After weeks of waiting on state action to repair roads badly damaged due to the August floods, commissioners were finally able to report some progress made. 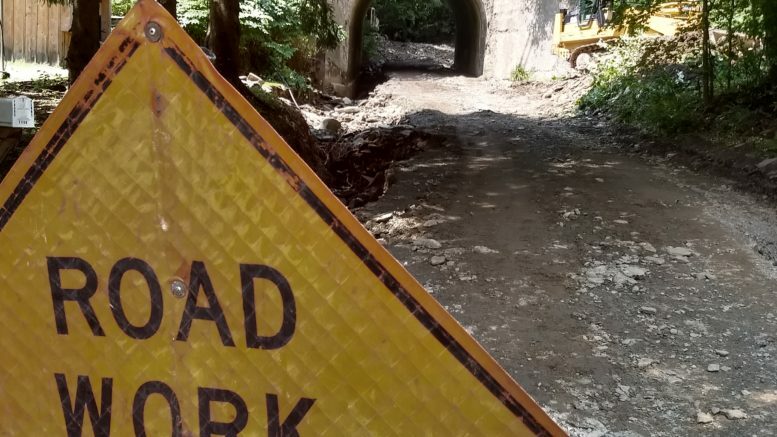 In addition to widespread damage caused in the townships, the floods caused over $1 million in damage to county bridges and PennDOT reported $10 million in damage to state roads. “We’ve had a lot of improvements in the last two to three weeks,” Hall said. “They’ve bought in outside crews to help with the road repairs and to get that work done,” he said. While much work remains to be done, the picture is now much improved than it was a few weeks ago. “They are gaining. We’ve had more attention to the roads in the last three weeks than we’ve had in the last 10 years,” he said. Problems which remain include a lack of proper equipment and, most importantly, workers. “That’s still an ongoing problem in this county and will be the next battle, trying to get the right equipment in this county so our workers who do a great job can do a great job,” Hall said. In other developments, Hall also reported that the county last week received notice that federal and state public sector funds have been approved and that officials from the state and federal emergency management agencies should visit Susquehanna County in the next few weeks to meet with local officials to establish a funding stream. Individual Assistance, a separate type of aid designed to assist individuals, households and business, is still under review and has not been approved yet. Be the first to comment on "Commissioners talk roads"